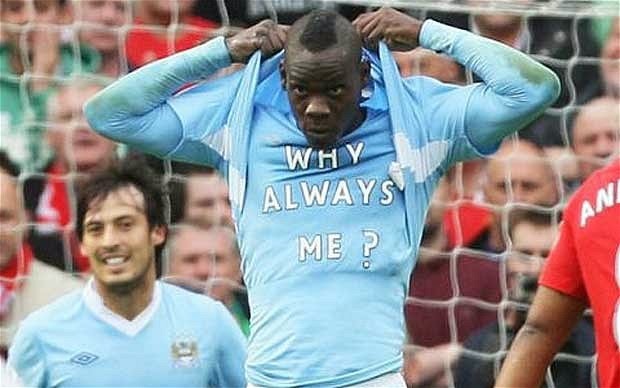 Balotelli is rumored to be a target of Arsenal for this season. His return to England would be most welcomed by most fans of the game. Here are my 10 reasons on why he should return to the EPL. Balotelli is a great player, and EPL is arguably the best league in the world, so it would only make sense to have them together again. He is a larger than life personality and needs larger than life media coverage, and nowhere else will he get that coverage other than the Premier League. 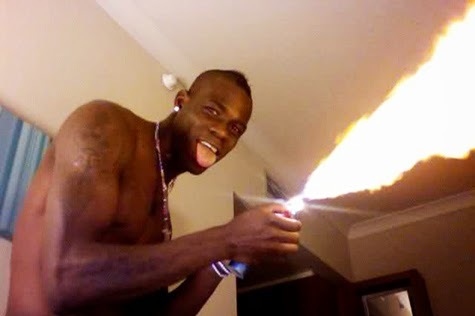 Firework stores in England have seen their sales decline since his departure to AC Milan. Local stores that had reached record high sales during his stint with Manchester City have been unable to off load most of their inventory since his departure. 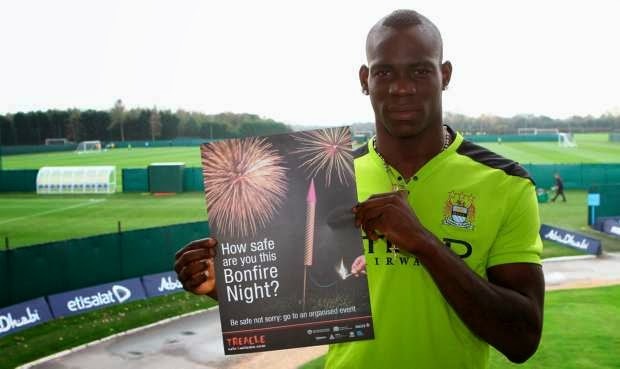 Local economy needs a help in sales, and Balotelli would help this niche market. Balotelli has a reputation of crashing press conferences, more so the ones that don’t involve his team or even himself. 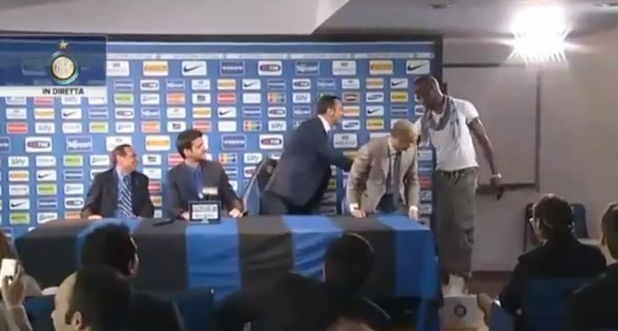 Nothing would be funnier than Balotelli interrupting Mourinho during one of his post-game press conferences and tell him something in Italian to his ear, smile and walk away. This would put the Special One in a tail spin. 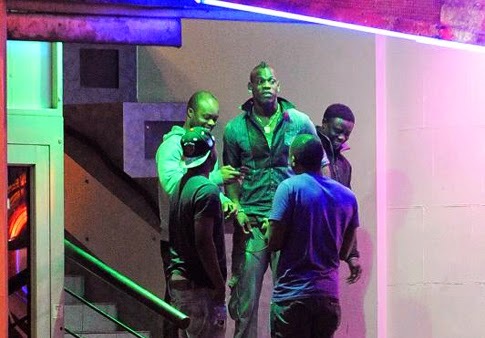 Strip Clubs are some of the ways Balotelli likes to unwind and kill time. 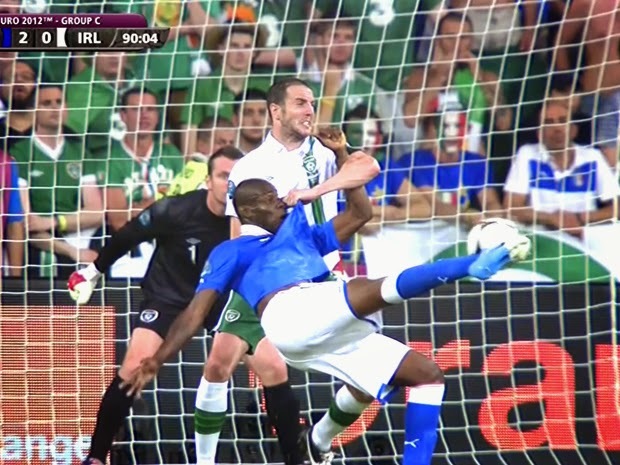 While plenty of people frequent these sorts of establishments, nobody does it better than Balotelli. London clubs are probably hoping he lands at Arsenal, so that they can increase their expected revenues for the upcoming fiscal year. 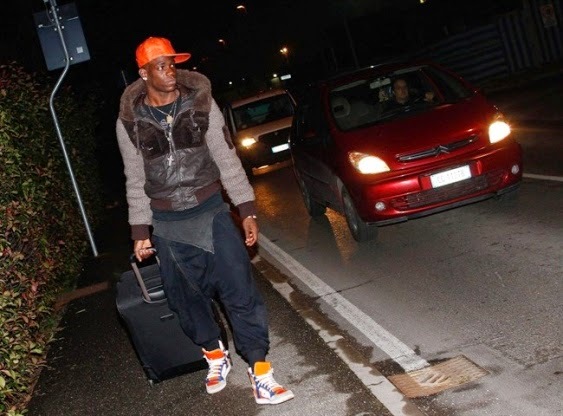 Between fireworks and strip clubs, Balotelli is able to boost the local economy all by himself. He loves to tell people how he feels by using messages in his t-shirts. After a goal there is always a chance he will lift his jersey and show us a message that he has printed on a t-shirt. In the past he proclaimed his love for his girlfriend and even asked questions, what the messages can be going forward are a guess to anyone. One thing it will be guaranteed, they will be funny, catchy, and will turn out to be an internet sensation driving people to want to imitate him during their Sunday kickabouts. Last time he played in the Premier League, he stopped at a local school to use the washroom. 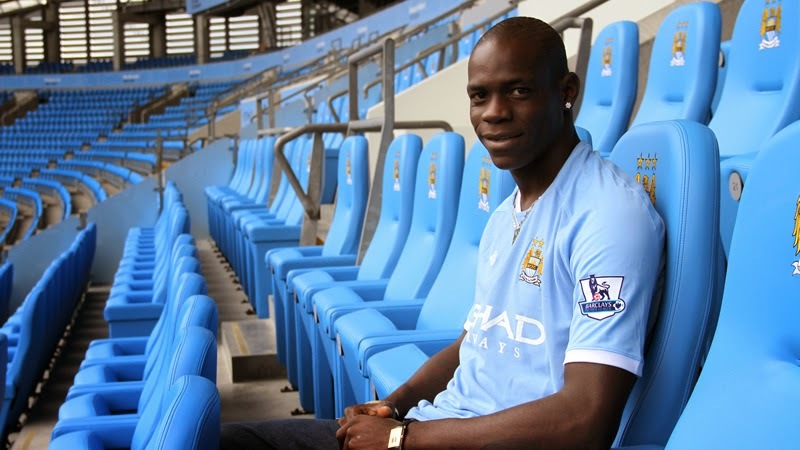 While this may sound crazy and scary more so if the school happens to be an all-girl school, you must admit it is insanely cool for you to walk to the toilet to take a piss, and have Balotelli in the urinal next to you. That for sure would make my day, it is not every day that you take a piss next to a world cup player as famous as he is. Just don’t try to start small talk with him, or high five him after you are done. That can be awkward. He doesn't like bullies, and has even helped one of his fans with an issue of bullying at the kids school. 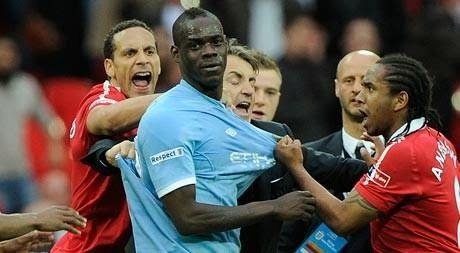 Premier League is full of bullies and Balotelli could be the one to set some of these bullies straight with a stern talk and perhaps a pulling of their ear. He can do it in Italian, to sound more menacing. Cities around the world generate revenue from a multitude of things, parking tickets is one of those things. 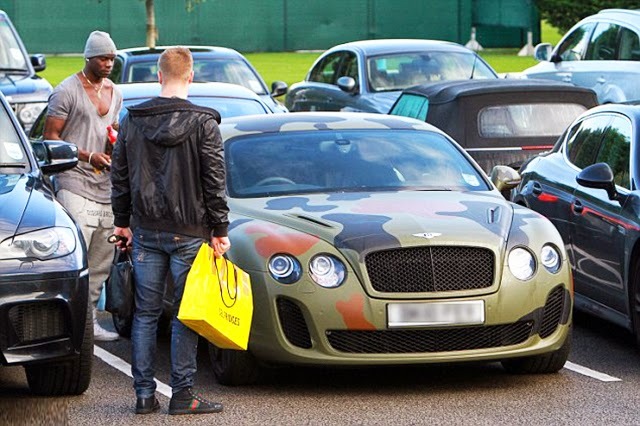 During his last stint in the Premier League he raked up $10,000 in unpaid parking tickets and got his car impounded 27 times. I am sure any city in England would love to have someone who likes to contribute so generously to their revenue stream. He has never been fined by a league the way he was by the Premier League in 2010. He paid $300,000 in fines during the 2010-11 season, while for a guy who earns what he does that is a drop in the bucket, his fines are all related to his insane behavior on and off the field. For the neutral it is pure gold and solid entertainment value. 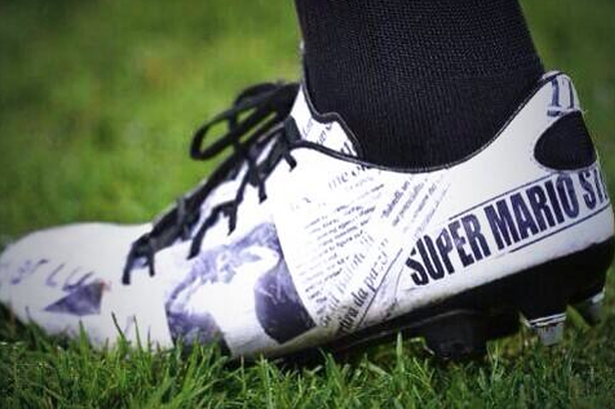 Regardless of everything surrounding him, he is an incredible player that scores goals in all sorts of ways. While his larger than life persona has been one of the main reasons for his popularity, his quality as a player is undeniable and for any team looking for someone than can score some goals for you, Balotelli is a sure thing.